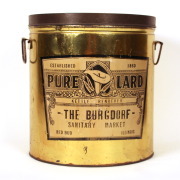 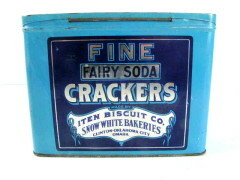 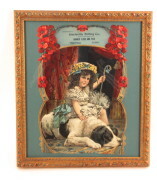 Circa 1920, a biscuit box from Manewal-Lange Biscuit Co. that went out of business in the 1920’s. 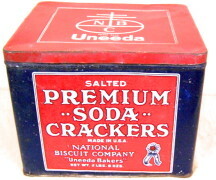 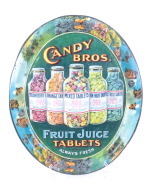 This box was designed for their soda water cracker brands and is very colorful with the orange coloring, but somewhat unusual for that time period on early advertising items. 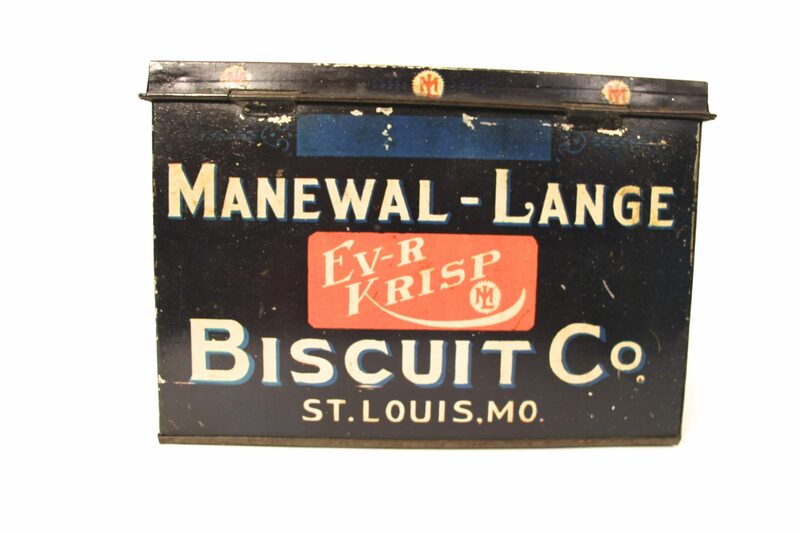 The brand from Manewal-Lange is called Ever Krispo.